We have reached another Friday! Gonna see a movie this weekend? We have some recommendations that pair well with food (of course)! Our first film: Scott Pilgrim vs. The World. Chow down on some garlic bread with these recipes while you watch. Our second film: My Cousin Vinny. 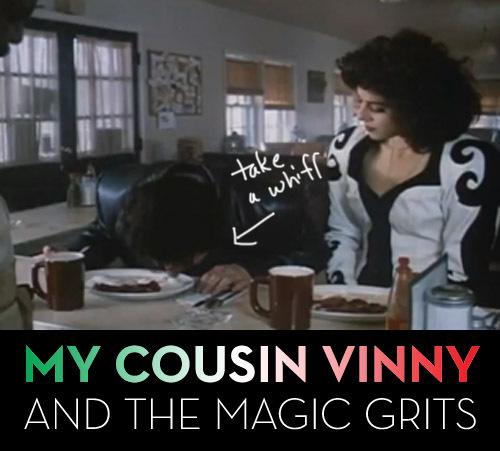 Streak your hair, get out your leather and go to Brooklyn for grits at Egg! 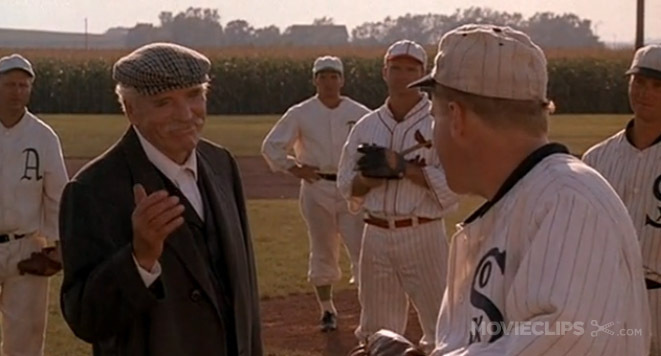 Our third film: If you fry it, they will come: Hot dogs and Field of Dreams. Magic in the Moonlight. In other news, I’ll be traveling to South Beach today for my first Triathlon of the season. You can also get the recipe for my home made energy bars at that link. Tweeting will be light as I don’t want to take out my pre-race panic attacks on you lovely people. Come Monday or Tuesday we might have some more BIG NEWS. So stay tuned. And we will also be continuing our Meals on Reels program. Don’t forget to send us your favorite movie/food scenes! Post ’em in the comments!